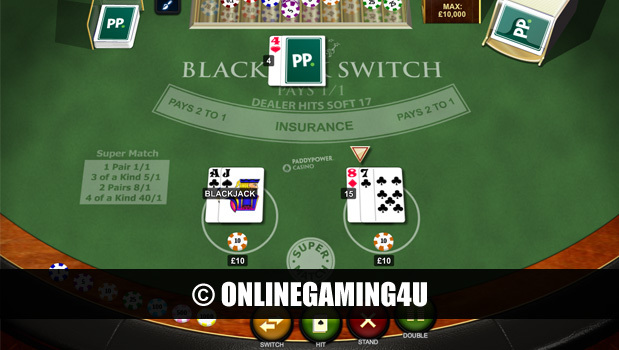 Summary: Blackjack Switch is a great blackjack game with great features and odds. 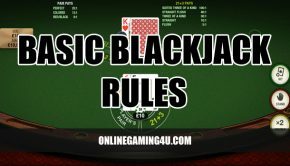 Blackjack Switch is a brilliant online blackjack game based on standard blackjack but with the twist of playing two hands against the house dealer. 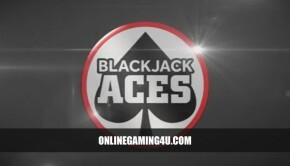 Players who love blackjack adore Blackjack Switch simply because it has the potential to give them the edge against the casino house and increase their chances of winning. This sweet variation puts the customer in full control of their betting by providing two hands against the dealers one hand. The modification to the classic table game means players can switch cards between hands to create the best hand to beat the dealer. Only top cards can be switched between hands. This is the second card that is dealt during a round of betting. Blackjack Switch also features an optional bet during the round of betting known as the Super Match bet. This mini-game within each round of betting allows players to place a stake on if your initial 4 cards will contain 2 or more cards of the same kind. For example; a pair of Kings. Super Match pays out 1/1 on a single pair of cards, 5/1 on three of a kind, 8/1 on two pairs and a massive 40/1 on four of a kind.